UW Master of Science in Healthcare Administration faculty is one of its greatest strengths. You won’t find another healthcare administration program—online or otherwise—that brings such diverse expertise together in one place. That’s because the Master of Science in Healthcare Administration is a collaboration between five UW System campuses— UW-La Crosse, UW-Parkside, UW-Platteville, UW-Stevens Point, and UW-Stout. All courses in this online program are developed and taught by University of Wisconsin faculty—the same faculty who teach our on-campus courses. Dr. Jeanette Black is an Associate Professor and recent Endowed Chair for People Process Culture in the Department of Operations and Management, College of Science, Technology, Mathematics, and Management at the University of Wisconsin-Stout, Menomonie WI. Dr. Black teaches graduate courses in Organization Development/Change management, Organizational Culture, and Human Resource Development. Dr. Black has over 30 years working in leadership roles across a wide sector of industries: healthcare, insurance, manufacturing, and higher education. Dr. Black regularly consults with and provides executive coaching to organizations regardless of size. Dr. Black works from an employee centered focus which is the foundation for her work in organizations on organizational culture, employee engagement and retention, as well as organizational communication and efficiency. Dr. Black views one of her roles is to increase understanding of individuals (students) about the value of employees and keeping and retaining talent. Dr. Black leverages applied projects in organizations as a primary instructional method in her courses. Dr. Black obtained her doctoral degree in 2007 from the University of St. Thomas, Minneapolis, MN in Organization Development. Her Doctoral Research investigated the experiences of women and their workplace relationships with supervisors. Dr. Black is also a certified Senior Human Resources Professional and instructor through the Society for Human Resources (SHRM). Dr. Black has worked in large fortune 50 companies (3M, Honeywell, Blue Cross Blue Shield MN, Imation) focusing on developing psychologically healthy workplaces and mitigation of organizational risk. Suresh Chalasani is a professor of management information systems at the UW-Parkside. Prior to joining UW-Parkside, he was an assistant professor at UW-Madison and served as a consultant for several companies. Chalasani’s educational background includes a PhD from the University of Southern California. Chalasani’s current research interests include healthcare management and healthcare technologies. He is a senior member of IEEE and a member of the Association for Information Systems (AIS). He has received numerous research and teaching grants from the National Science Foundation and University of Wisconsin System. Chalasani has published numerous research articles in journals such as IEEE Transactions on Computers, IEEE Transactions on Parallel and Distributed Systems, IEEE Transactions on Communications, and Information Systems Frontiers. He has also presented papers at a number of IEEE- and AIS-sponsored academic conferences. He is on the editorial board of the International Journal of Biomedical Engineering and Technology, where he co-edited a special issue on “Nanotechnology for Medical and Surgical Applications.” Additionally, Chalasani serves on the international program committees for several conferences. Thomas S. Collins has been a professor of Accounting and Business Law at the University of Wisconsin-Platteville since 2011. He has nearly 30 years of college teaching experience. After earning bachelor’s and master’s degrees in accounting from the University of Iowa, he went on to a Juris Doctorate degree (with high distinction) from the University of Iowa College of Law. Collins has taught both graduate and undergraduate courses in business law and accounting, and served as an attorney of counsel for over 15 years at O’Connor & Thomas, the oldest law firm west of the Mississippi, in the areas of business and employment law. He has given numerous speeches and presentations in various areas of accounting and business law and has conducted workshops on creative and critical thinking strategies for students. Dr. Lewis holds a B.S in Biology (Ripon College) and M.S. and Ph.D. in Physiology (1997) from the University of Wisconsin-Madison and has specialty areas in Neuroscience, Pathology, Electrophysiology, and Cell Communication. He teaches courses in Neuroscience, Neurological Disorders, Bioscience, Organismal Biology, Statistics, Physiology, and multiple Seminar Style courses. Dr. Keely Rees is Professor in the Department of Health Education and Health Promotion at the University of Wisconsin-La Crosse, serves as the Director of the undergraduate Public Health – Community Health Education program and the Academic Director of the Master’s of Science in Health Care Administration. Keely’s research and teaching has focused on numerous issues in the health field for over 20 years. Her research has focused on prenatal care, exercise prescription and behaviors during and after pregnancy, social support for pre-conception and prenatal nutrition, tobacco use during pregnancy, and sexuality education and advocacy for young children, teens, and parents, and schools as community outreach for nutrition/exercise. Dr. Rees has been working with collaborative projects with Pine Ridge Indian Reservation and Global Partners of Gundersen Health System to provide education and advocacy with Native American youth and leaders. 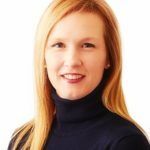 Keely teaches health policy & advocacy, motivational interviewing, grantseeking, and women’s health courses, trainings, and workshops in university, hospital, schools, and locally. Keely has taught internationally with other universities, researchers, and organizations identifying ways to better prepare health educators in the field in Ireland, Spain and Costa Rica. Dr. Rees’ education began with an undergraduate health education degree at the University of Minnesota-Morris (1994); graduate degree (M.S.) in exercise physiology & health behavior at South Dakota State University (1996), and Ph.D. in community health education at the University of New Mexico (1999). She lives in La Crosse with her husband Curt, and two kids Gavin (15) and Harper (12) and they can be found skiing, fishing, traveling and enjoying all seasons in Wisconsin. Dr. Russell Roberson served in the role of vice president of quality and regulatory affairs (retired) for General Electric Healthcare. In this global role, he worked to ensure that products and services were properly designed, manufactured, distributed, and serviced. Dr. Roberson has ~ 40 years of experience in medical drugs and devices, and has worked on product lines that include magnetic resonance imaging, blood transfusion, blood substitutes, cancer therapies, cardiovascular, and drugs. He teaches at the university level in the areas of leadership, ethics, statistics, data analytics, and health information technology. 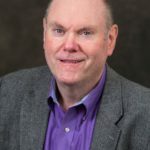 Dr. Roberson has publications in many areas and is the author of several books in the areas of leadership, statistics, cancer management, big data, and strategy. He is a frequent speaker at global conferences, presenting on such topics as software design, regulatory affairs, statistics, cancer management, strategic planning, and quality-management systems. Dr. Roberson developed the SWEATT (strengths, weaknesses, excellence, actions, threats, & team) strategic model. He has published numerous articles on this model and is scheduled in 2019 to discuss this model in a TED talk. Dr. Roberson is a licensed professional engineer and holds professional certifications in the areas of quality engineering, software engineering, and auditing. He also holds a Six Sigma black belt. Dr. Roberson is active in several professional societies, has served on the national board of trustees for his college fraternity, and is the President of two university advisory boards. 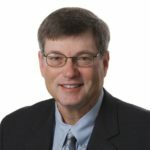 Dr. Roberson holds a doctorate in business administration and management from Argosy University, an MBA from Marquette University, a master of science degree in mechanical engineering from West Coast University, and a bachelor of science in agriculture engineering from Auburn University. Dr. Roberson is married and has five children. He has also survived two battles with cancer, in 1991 and 2006 (non-Hodgkin’s lymphoma).